We recently got in touch with Horace James, striker for the Silverbacks, Atlanta’s professional soccer team, along with his agent and team management to coordinate a photo shoot. 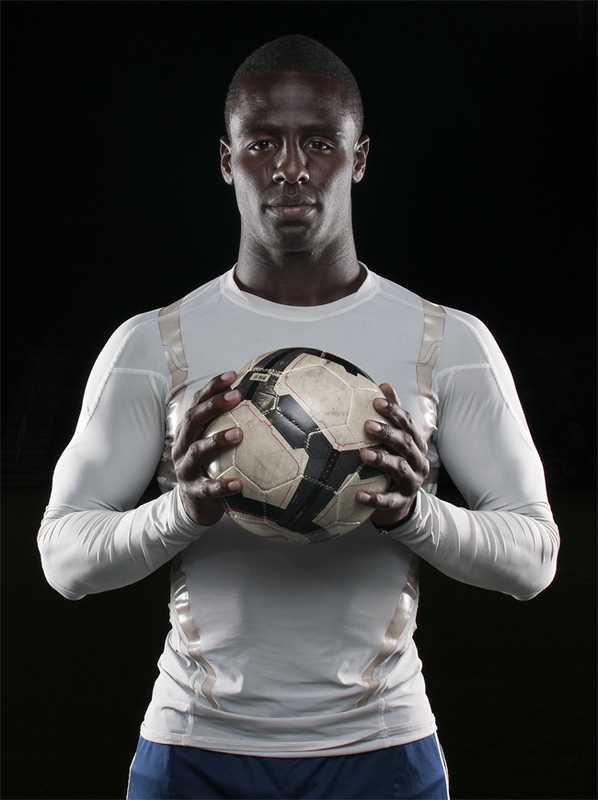 They were amazing to work with, especially since we wanted to shoot at the stadium – a logistical nightmare. When we got the call from team management that a timeslot had been found I was asked, “how does tomorrow at 10:30 p.m. work?” We’re flexible at Launchpad so we said, “Sounds great!” and quickly readied ourselves for a late-night shoot. Horace was great to work with and didn’t let the late time get in the way of working for the perfect shot. We used a setup consisting of strip lighting to highlight the models features, a large soft box and plenty of reflectors to make the photo pop. We typically have a laptop on hand since reviewing photos on a big screen as opposed to the back of the camera is a million times easier. Not a lot of outlets in the middle of the soccer field but we were very happy that our battery powered car jump starter and an A/C adapter gave us power until we closed up shop at 1:30 a.m.